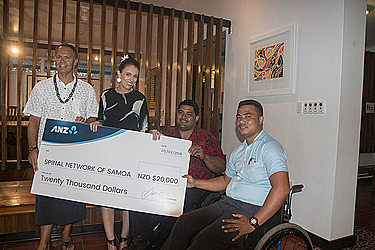 ANZ Bank has announced its support of the Spinal Network of Samoa (S.N.S), a charity providing care to spinal injury sufferers, through a NZ$20,000 (T$36,000) donation and ongoing administrative assistance. ANZ Samoa Country Head, Bernie Poort, stood alongside New Zealand Prime Minister, Jacinda Ardern, to present a cheque to charity representatives. “I feel very inspired by S.N.S’s vision to do more for Samoans with spinal injuries. 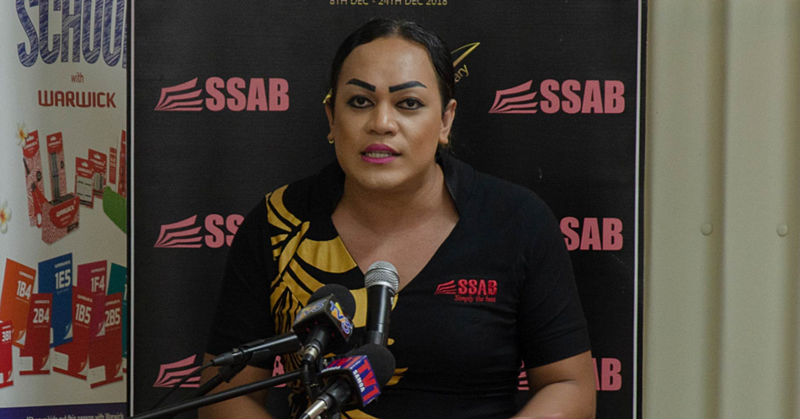 While there has been continuous improvement in care for people with disabilities in Samoa, there is always more that can be done,” Mr. Poort said. “Many young people who sustain spinal injuries hurt themselves when falling out of trees or playing rugby. 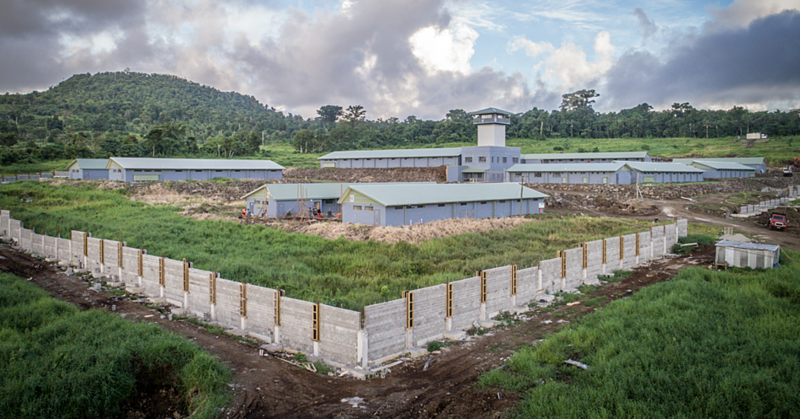 Due to their injuries, they are unable to work, which causes financial strain on their families. They are also unable to pay for treatment, which can lead to complications, including sepsis and loss of limbs. 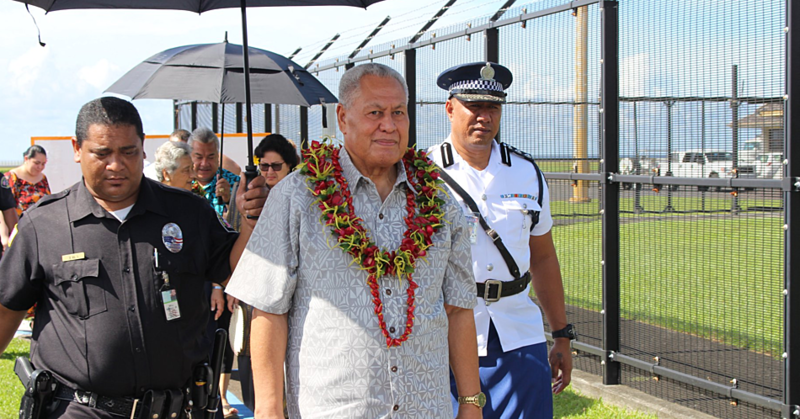 New Zealand Prime Minister Jacinda Ardern was in Samoa as part of a trip to the Pacific, also taking in Tonga, Niue and the Cook Islands, with a focus on recovery efforts.